I'm so happy to be joining some awesome bloggers again this month to share some tips that you oughta know about! 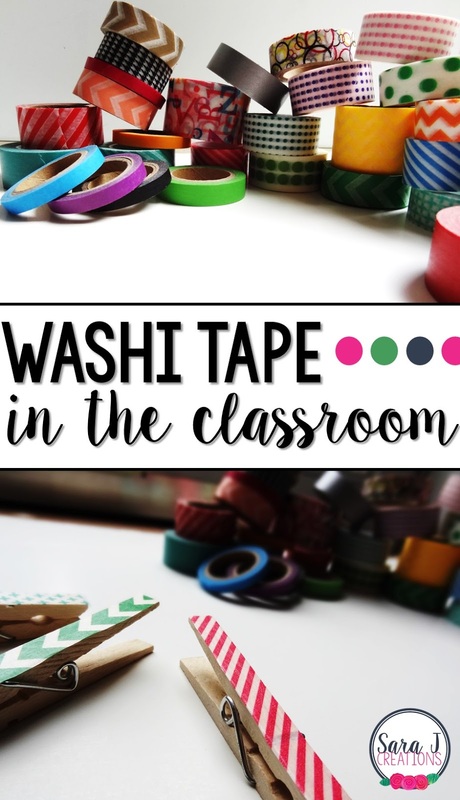 Because washi tape can be easily removed with no residue left behind*, it is ideal for the classroom. *Note: I've noticed that the Scotch brand is a little stronger than most of the tape you find at a craft store...I had it leave a residue on a photo poster I'd had printed...just test the type you buy before using it. Here are a few ways you can use it in your classroom. -That totally unnecessary but oh so cute decorating that you want to do around your classroom. You know, the things that could use some extra color or a cute pattern to make it a little more fun. Clipboards, the edge of your desk, around book bins, around supply bins, around windows and doors. -Use it to identify group supplies. Wrap a certain color around pencils, highlighters, scissors, glue, etc. that belong in a particular bin. Each table/group gets a different color washi. Wrap the same color around a supply bin. Then, when supplies are left on the ground, students know where it belongs. -Use it to hang things you don't want up permanently. Washi tape is sticky and can hold, but it is perfect for something you don't want to be in that spot forever since it is easily removed. Maybe you need to make an anchor chart, or are trying to model how to complete a worksheet - use some tape to hold it in place while you are working on it. -Teaching shapes? Give students a roll (or a few strips) and challenge them to make various 2-D shapes. Because it is rectangular it will obviously be easier to make shapes with straight sides like hexagons and rectangles. -Display student work on walls, lockers, in the hallway, on the door. Use just a piece on the top or even frame the whole thing with washi tape. -Use it to display task cards or read/write the room cards. Then they can easily be removed when you are done using them and moving on to a new topic. -Decorate interactive notebooks or journals with it. - Use it to differentiate levels of game and activities in the classroom. Pick certain colors that designate levels (that you know but your students don't have to) and then tell each student which color they need to use. In my classroom, we used green (low), blue (mid/grade level), red (high) to designate the level of our math and literacy activities. -Divide your white board/chalkboard into different sections. Section off the schedule or the date or any section that you use regularly. -Stick it to students...yeah for real. Because it can be removed so easily, why not stick it onto their clothes? This would be perfect for reminder notes that you want the parents to see. It could also be used for games or activities like task cards...stick them to the students' backs and then they have to walk around the room solving each other's problems. -Cover ordinary clothespins to make them more fun to use. If you use clothespins for different clip cards or activities in the classroom, you could cover them in different tape and change them out for each season or holiday. If you haven't tried washi tape yet, give it a try! 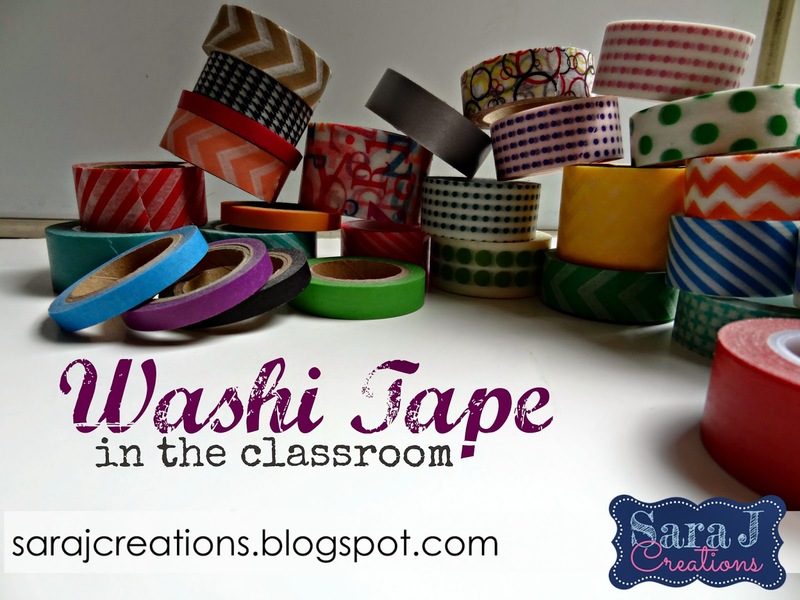 If you do use washi, what ideas do you have for using it in the classroom? 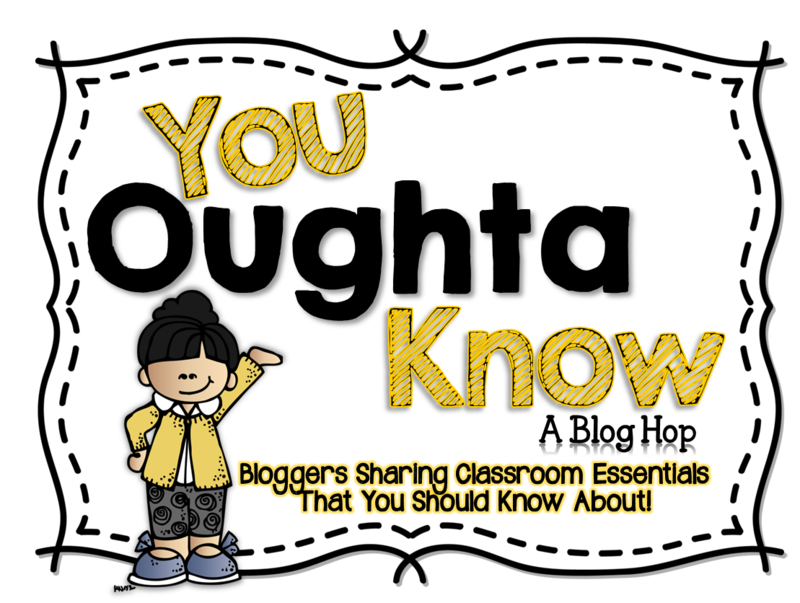 Hop on over to some of these other fabulous bloggers and see what else you oughta know about! Thanks Marine! Yes I could probably do a whole blog post about crafting at home ideas and washi tape! I actually cover clothespins with Christmas colors and use them to hang up all the Christmas cards we get each year. A little more fun and colorful than plain pins. Cute!!!! I may have to use that idea and copy you!! 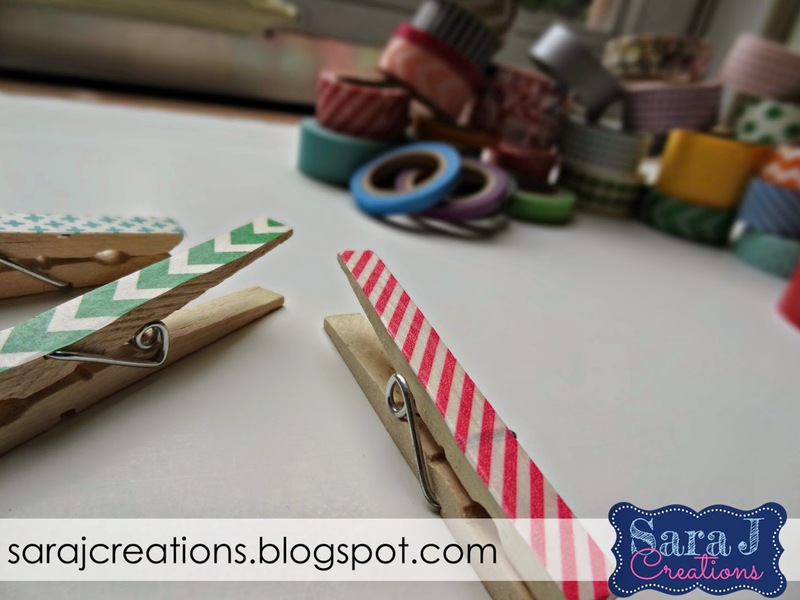 Love the clothespin idea! I would love to see a post about crafting at home ideas with washi tape! Thanks, Tara! I will work on that! Nice! 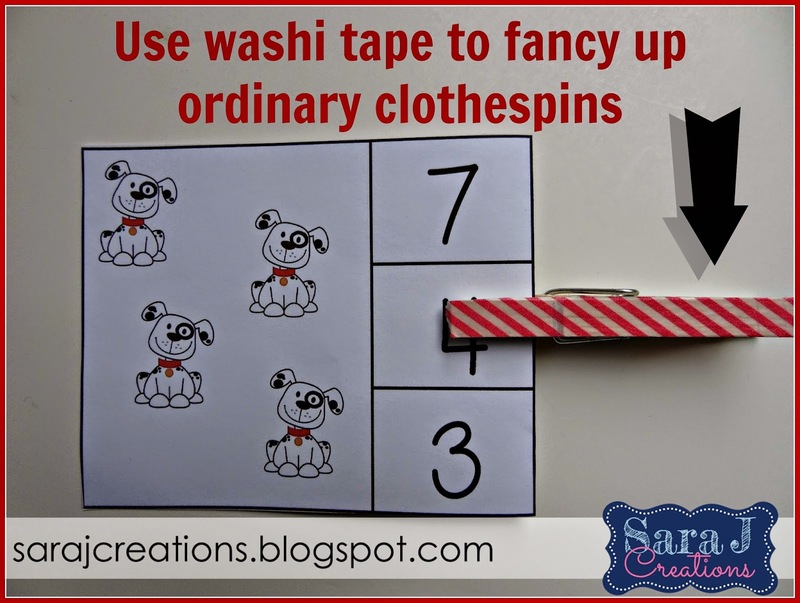 I haven't tried the washi tape clothespins, but love them every time I see them! Thanks for sharing these ideas! OMG I love Washi tape! It's an obsession! You have some ideas I haven't thought of for using it! I keep telling myself that I am going to do this!! lol Maybe I can spend part of my Thanksgiving break doing a few washi tape projects :-) Thanks for sharing! That's a good idea! I didn't think of that! Thanks for sharing these ideas! I always love the cute designs I see on washi tape, but never knew what to do with it. These ideas are a great start!